In other words, we are looking to develop a free swing. This involves eliminating—or, at the very least, reducing or limiting—the amount of muscle and force used to generate speed, power, and rotation. I firmly believe this approach to the swing is the most consistent way to develop and master your mechanics. What are some of the benefits that will result from a free swing? Let’s take a look. Bowling is looked upon as a sport for all ages and sizes. While this is essentially true, we are still dealing with a heavy object that needs to be propelled 60 feet down the lane. Some see this as an effort of strength. And, to many, it is an effort of strength. However, when teaching the sport to the junior bowlers, to the senior citizens, and to many of the females, a lack of size and strength is often an obstacle to be overcome. Add to that the fact that bowling has become more and more of an athletic endeavor over the last 20 years with the rise of the power game; it is no longer simply a targeting game. Finally, factor in the technological advances of the sport, including bowling balls today that are more aggressive and more powerful than ever before and synthetic lane surfaces with stripped back ends that help us create a better angle of entry into the pocket. With all of this in play, how do we get the heavy ball down the lane with reasonable speed and power when we are lacking in the areas of size and strength? The answer is physics. Inertia, gravity, and kinetic energy will create a more consistent level of force and can be taught to bowlers of virtually all sizes and strength levels. When you are able to start the ball moving into the swing without resistance, you quickly will notice how much lighter it feels while in motion. For example, try holding and lifting a kettle bell. It will probably feel heavy. Now let it swing back and forth. I guarantee it will feel much lighter in motion. Less effort, more energy. Hence, the weight is easier to manage and transfer. The creation, maintenance, and transfer of energy is much easier to accomplish when using gravity, inertia, and kinetic energy rather than muscle and force. Let the bowling ball create the energy, and then manage the energy that it creates. Stopping and starting energy flow, especially for those who do not possess the strength to effectively do so, is not the best way to maximize energy creation and transfer. It makes the ball weight seem heavier, and a heavier ball is harder to gain leverage on. Let the ball swing; it will create energy for you. It makes the ball lighter and easier to deal with. Less muscle equates to less resistance, and less resistance creates a smoother and cleaner energy transfer. The overuse of muscular control in the swing hurts your chances of repeating shots. It is much more difficult to precisely repeat a motion with the same amount of force and resistance when you are relying on muscular control. The forces applied by the forearm, wrist, and hand are all variable, whereas gravity is constant, therefore making it more consistent and repeatable. The force factor also directly impacts the flow of energy. The use of muscular force is similar to bending a hose to restrict water flow and then straightening it out and creating an excessive release of water. Trying to consistently and accurately manage that kind of energy disbursement is far more difficult than an even flow of energy created by gravity and kinetic force. It is very difficult to control the level of force involved shot after shot. As the day wears on, this becomes more difficult, as fatigue—both mental and physical—sets in. On top of that, the lanes will continually be transitioning, which adds yet another variable into the equation. The combination of all of these factors make consistency and repeatability much more difficult when muscling the ball. Trying to control and manipulate a heavy object like a bowling ball using your isolated arm is a prescription for eventual injury. Those muscles, ligaments, joints, and tendons are not designed to overpower such a heavy weight, and they will eventually give out. How many of you have dealt with elbow issues, wrist issues, forearm strains, or tendon and ligament strains? Stop fighting the ball and learn to work with it for better results. One of the most common deficiencies for bowlers of all skill levels is lack of efficiency. The overuse of muscular force in many bowlers’ mechanics causes blockage and inconsistency. To go along with that, it also creates fatigue more quickly, which adds to the likelihood of errant shots occurring. Placing the ball into the pushaway, only to slow the gravity acceleration with the forearm, slowing the swing pace down, dragging the ball into the backswing, and effectively stopping the backswing prematurely, are all very inefficient uses of energy. As the ball gets farther up into the backswing, the ball gets lighter and it again becomes easier to muscle. Instead of waiting for the ball to reach its natural ascension, the swing—which was already slowed down—now gets cut off and quickly accelerates into the downswing. People often think this is the place to apply leverage and power. In actuality, leverage and power should be applied at the bottom of the swing, as the ball is being transferred from the hand to the lane. When the swing is cut off and accelerated from the top down, usually one of two things occur: The stronger players will grab the ball to keep from losing it at the bottom of the swing, blocking energy transfer, and the weaker players will pull the hand in front of the ball, get on top of it, and drop the ball at the bottom. Either way, the buildup of leverage and power will not be efficiently transferred at the point of release. So, what is the cure? The bowling ball. The ball needs to be in control of the swing. What do we mean by this? The weight of the ball will dictate the pace of the swing. If we allow the weight to determine the pace, a number of things we need to have happen will happen. Gravity is constant. Therefore, it will develop your swing to be a constant. The more constants you develop in your approach, the more repeatability you will create in your game, and isn’t that what we all are ultimately trying to achieve? Watch how a wrecking ball knocks down a building, allowing the weight of the ball to create the force and inertia to demolish the building. This is the concept that is trying to be communicated here. The key here is to feel how the weight of the object determines the pace of motion. This feeling is what you want to get the sense of in order to create the same feeling with the swinging of the ball. As you improve this relationship of the ball weight with the hand, you inherently improve the efficiency of the energy transfer that occurs at the bottom of the swing. It is imperative to create the awareness and feel of the connection between hand and ball, and this is a great place to create and improve that connection. 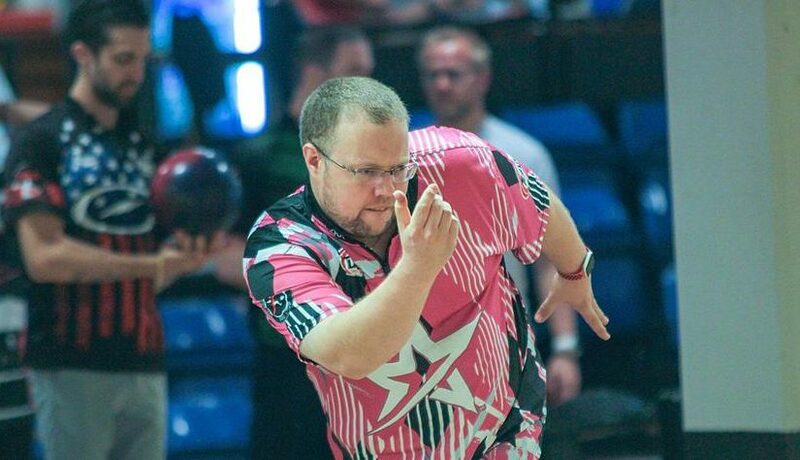 RELATED POST: Bowling tips: How not to hit up the ball & strike with less efforts! Remember: the ball leads, and the hand follows. Grip pressure is an often overlooked aspect of the free swing and energy creation/transfer process. Directly related to the hand-ball connection is the amount of grip pressure involved. When the ball is moving freely in an easy manner, grip pressure can be reduced. When the weight of the ball is dictating the pace of the swing, it is, in effect, pulling the hand, rather than the other way around, which is far more common. When the hand is pulling the ball, there will be significantly more grip pressure applied to the ball. When the hand has been trained to let the ball dictate the pace, grip pressure can be reduced. What is the benefit of this? Well, by reducing grip pressure, you reduce/eliminate yet another drag in the energy creation and transfer process. Energy will be more easily created, resistance will be reduced, and the energy applied to the ball upon release will be more cleanly transferred. You also reduce hand fatigue—especially if you are of a smaller stature, or if you are perhaps an older player bowling in a longer format or on consecutive days. With all of these factors regarding grip pressure and its impact on your game, it would be a great idea, as part of your training regimen, to incorporate some hand strengthening exercises into your routine. The stronger your hand is, the less grip pressure you will need to exert. Squeeze/tension balls: Carry it around and use it throughout the day. Hand grippers: Use them while sitting around the house, watching television, etc. Newspaper pages: Yes, that’s right. Take a page from your newspaper and place the corner in your open palm. Now, crumple it up with your hand only. Build up your stamina by doing additional pages. Remember, the connection between the hand and ball throughout the swing is an essential factor in excellent and repeatable shotmaking. The more the hand, rather than the ball, dictates the pace, the more grip pressure that is needed to maintain ball control. This is commonly referred to as grab. Grabbing the ball is bad. Stop grabbing the ball, let the ball lead, and learn to work with it as your partner. Feel the ball leaving your hand, rather than you imparting force to remove it from your hand. Creating and mastering a free swing in bowling is something that many want, but are unable to get. The question is why. It is my belief that the main reason for this is fear. Many players fear giving up control of that heavy object they are trying to manipulate down the lane. They want to know and feel what is happening with the ball throughout the entire process. With that thought in mind, they try to exercise that control through their arm and hand. The bigger muscles—namely the hips and shoulders—need to control the process, as they are bigger and stronger and can create a better alignment to allow the smaller muscles to work in conjunction with the ball to create a consistent, repeatable motion and transfer of energy. If a player is afraid to give up control, they will be unwilling to do so. They would rather try to drag that heavy object around and launch it toward their target time after time. The bottom line is this: bowling is a sport, an athletic endeavor. Like in all athletic endeavors, the laws of physics apply, and they are unchallengeable. Open your mind to applying them for increased consistency and success. Next Next post: Bowling tips: How to find the right posture for your bowling game?